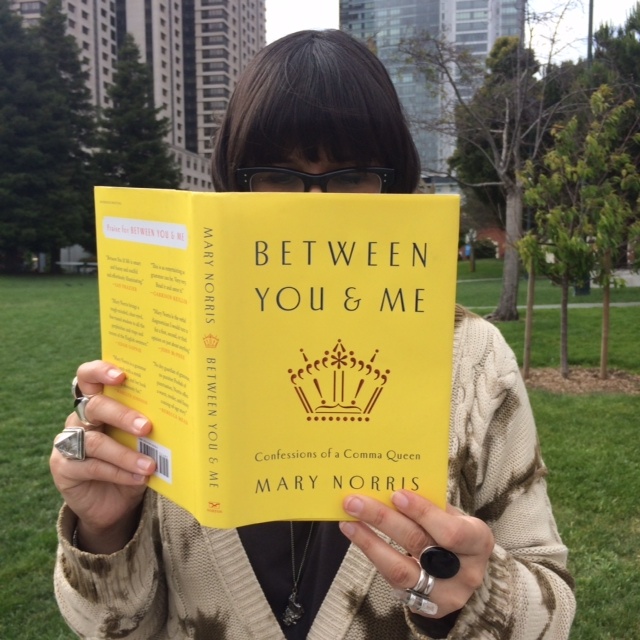 Mary Norris‘ memoir as a “page OK’er—a position that exists only at The New Yorker, where you query-proofread pieces and manage them, with the editor, the author, a fact checker, and a second proofreader; until they go to press” (Norris, 12) is called Between You and Me: Confessions of a Comma Queen. It’s a sweet memoir about editing, grammar, and pronouns that reads as easily as a gossip magazine. And at times, it’s just as catty as those magazines.